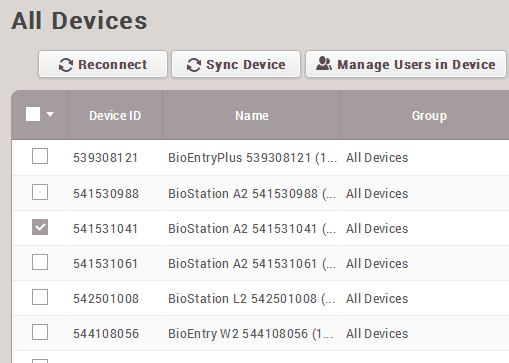 In BioStar 2, over 10 devices are supported having various specifications. In certain situations, the total user count could go beyond the maximum template limit of the device, or storing the fingerprint templates inside the device might bring up security issues. 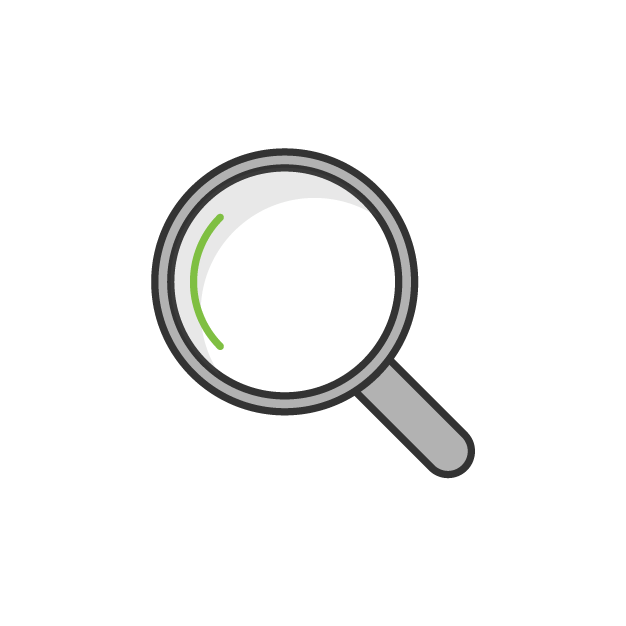 To overcome these difficulties, you can use Server Matching which is the method comparing the scanned fingerprint from the device to the fingerprint template stored inside the server database. To use Server Matching, the BioStar 2 AC Standard License has to be activated. 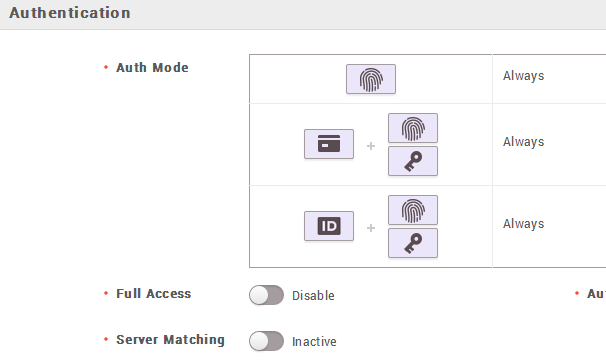 First, you will have to activate server matching from the server, and also from the device that will be used. 1) Go to Setting → Server → Server Matching. 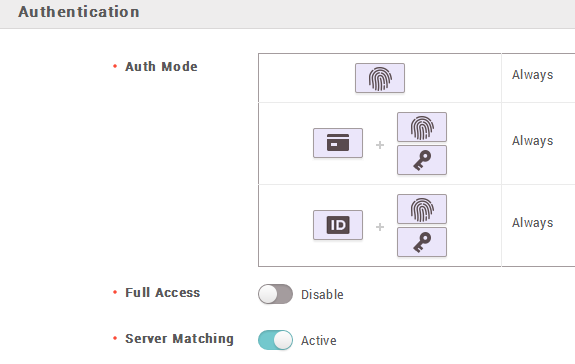 2)) Activate the Use Server Matching option. 1) Go to Device → Click the device to use → Authentication. 2) Activate the Server Matching option. Now, you will be able to match the fingerprints without having user information inside the device. If you have been using the BioStar 2 with the Automatic User Synchronization, it will be better to disable it since if this feature is on, the users newly enrolled will automatically transferred to the device. 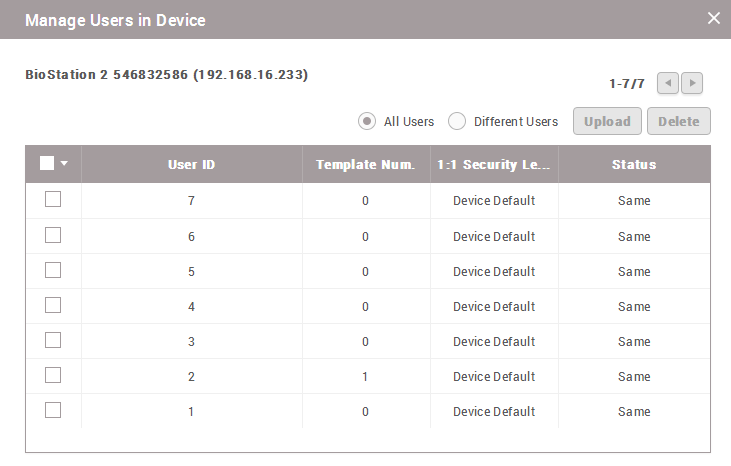 1) Go to Device → Select the check box of the device you need to delete user information → Manage Users in Device. 2) Delete the users by selecting them and clicking the Delete button.